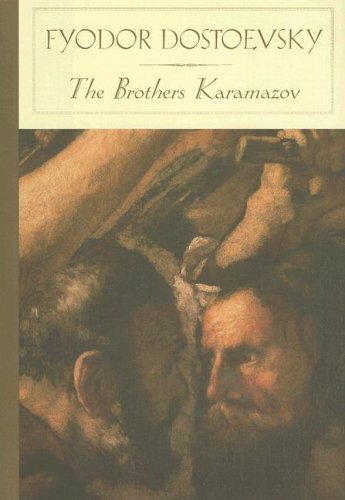 The final novel by Fyodor Dostoyevsky and generally considered to be his masterpiece. It is the story of Fyodor Karamazov and his sons Alyosha, Dmitry, and Ivan. It is also a story of patricide, into the sordid unfolding of which Dostoyevsky introduces a love-hate struggle with profound psychological and spiritual implications. Throughout the whole novel there persists a search for faith, for God--the central idea of the work. The Gambler brilliantly captures the powerful compulsion to bet that Dostoyevsky, himself a compulsive gambler, knew so well. The hero rides an emotional roller coaster between exhilaration and despair, and secondary characters are unforgettable. The poverty-stricken Raskolnikov, believing he is exempt from moral law, murders a man only to face the consequences not only from society but from his conscience, in this seminal story of justice, morality, and redemption from the great novelist. Told in first person by a nameless narrator. He is living in Saint Petersburg and suffers from loneliness. He falls in love with a young woman, but the love remains unrequited as the woman misses her lover with whom she is finally reunited. Returning from a sanitarium in Switzerland, the epileptic Prince Myshkin finds himself enmeshed in a tangle of love, torn between two women -- Nastasya and Aglaia -— both involved with the corrupt, money-hungry Ganya. Translated by Eva Martin.